The mission OK-CADP is abolition of the death penalty. 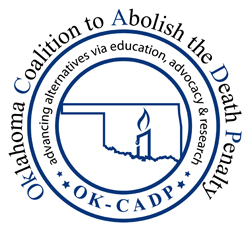 On the road to this ultimate goal, a strategic objective is to reduce the number of new death sentences in Oklahoma. One of the most pivotal ways to influence outcomes in death penalty cases is to maximize the quality of legal representation. One means of maintaining and raising the equality of legal defense is through continuing education. Therefore, we are committing financial aid for capital defense attorneys to attend national training events to further their professional development in the areas of trials, mitigation, appeals, and victim outreach. The program was established in 2013 with major funding through the generosity of Robert D. Lemon (Jan. 3, 1929 – Oct. 22, 2016) and Robyn Lemon Sellers. Additional donations allow more scholarships to be awarded; be sure to note that you want your gift to be used for the Capital Defense Attorney Scholarship Fund. 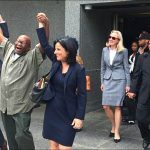 The purpose of the Capital Defense Attorney Scholarships is to enable more participation in high-level development training to expand the knowledge and skills needed to most effectively defend persons accused of capital offenses so they do not receive, or successfully appeal, a death sentence. 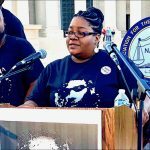 State supported defender organizations have not been able to send their lawyers and investigators to national level training in several years due to reduced funding. Their staff has expressed explicit regret about non-attendance, and noted the value such training has for them. Applications can be submitted through one of the listed agencies below, detailing qualifications and the selected training event, in a free-style letter to OK-CADP. These scholarships will provide support funding of about $500 to cover one major cost component such as airfare. Applications that do not provide substantial cost sharing by the requesting/sponsoring agency, or through other arrangements, cannot be considered. OK-CADP’s intention is to offer at least four scholarships annually. The scholarships Selection Committee will review all applications and make the granting decisions. 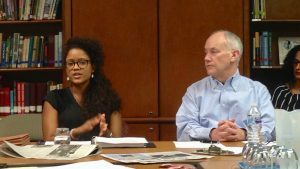 The committee comprises representatives from the Federal Capital Habeas Unit, the Oklahoma Indigent Defense System, defense attorneys at-large, and OK-CADP.